Is your bus running on time today? Did you already miss it? Now you can easily tell on your smartphone or computer with MET's new Real-Time Map service! 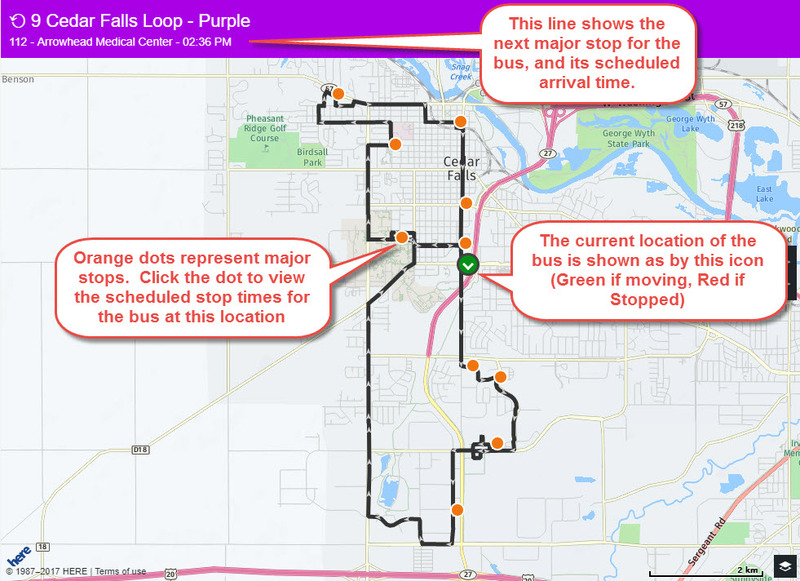 Click on the route you wish to ride on, and a map will appear showing bus's current location (updated every five seconds). Note: If you don't see a green or red circle icon on the map, then the route is currently inactive. Black Lines with Arrows: The full bus route and the direction of bus travel. Red Circle With Arrow: The bus is currently stopped. 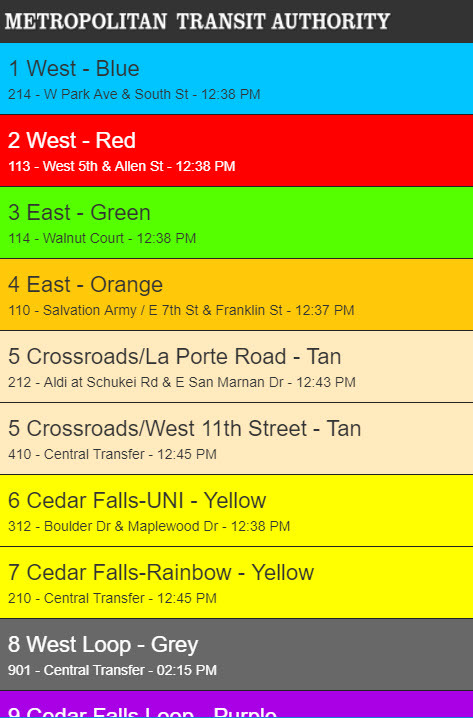 Keep in mind, you can flag down a bus to pick you up anywhere along the route, not just at the major stops! MET Transit is continually seeking to improve our rider experience, and hope you find this new service as useful as other cities' riders have. We'd love to hear how this service is helping you travel the Cedar Valley! 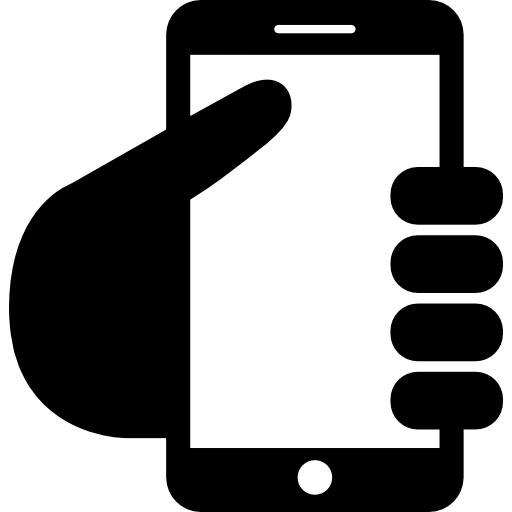 Just drop us a line through Facebook or info@mettransit.org.